Picasso and the Avant-Garde in Paris: Brancusi's "Mademoiselle Pogany [III]"
In 1931, nearly twenty years after the initial portrait of Margit Pogany (Philadelphia Museum of Art, 1933-24-1), and more than ten years after the second version (1919), Brancusi returned to the same theme. 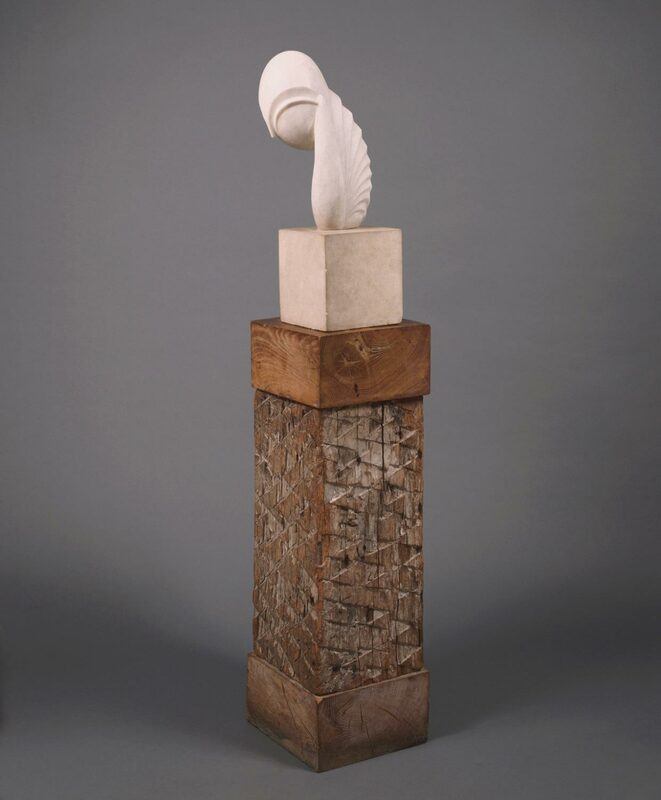 Several stylistic features of the 1919 version reappear here in almost identical form, but the working of some details and the position of the head show that Brancusi was rethinking his motif yet again. The more conspicuous innovation is in the treatment of the back, where the cascade of spirals runs the full heights of the piece, replacing the unworked portions visible in Mademoiselle Pogany [II]. In the earlier work, the unfinished quality attracted attention to the material; here, the unfolding, uninterrupted spiral motion, perfectly distributed and oriented upward from below, gives the piece an unprecedented unity and a fluid, dynamic thrust. Margit Rowell, from Constantin Brancusi 1876-1957 (1995), p. 258. The work of Brancusi redefined sculpture for a new century. Born in Romania but living in Paris after 1904, Brancusi aimed to develop a sculptural idiom that looked absolutely modern. His work moved beyond the verisimilitude and melodrama exemplified by the vastly popular sculpture of Auguste Rodin. Brancusi sought inspiration in ancient, folk, and exotic precedents that preceded or bypassed the classical Western tradition of sculpture. This brought Brancusi to simplified forms, reduction of details, and hand carving of materials. As Brancusi's career continued, he worked with an ever-growing penchant for stylistic schematization and freedom from detail. In the twenty-year span from the first carving of Mademoiselle Pogany to the third and final version, the model's facial features virtually disappear, her arms become a single fin, and her chignon hairstyle a scalloped cascade strongly reminiscent of contemporary architecture and design. The aspect of portraiture remains, however, as Brancusi persuasively conveys the sense of Margit Pogany's exotically deep-set eyes and reserved demeanor. Twentieth Century Painting and Sculpture in the Philadelphia Museum of Art (2000), p. 44.